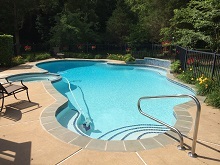 JW Contracting, Inc. is a reputable company serving customers in their complete swimming pool and backyard projects. We offer over 30 years of experience in the swimming pool industry. 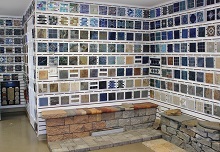 We are a licensed and insured company doing business in Virginia and its surrounds. We specialize in swimming pool construction and renovation. Whether your job is big or small, you can count on quality from start to finish. Let us transform your backyard into someplace you always dreamed it could be. Before & After - View our projects of ‘before’ and ‘after’ images of a wide variety of pool construction and renovation projects. Let us transform your outdoor living space. Call us today to review your options. Arlington County, Alexandria, Annandale, Fairfax County, Falls Church, Loudoun County, Leesburg, Prince William County, Manassas & Manassas Park Cities, Fauquier County, Warrenton, Culpeper County, Warren County, Clarke County, Winchester, Stafford County and Front Royal.